Ms. Patricia Minard, Clinical Nurse Educator at VA Connecticut Healthcare System, has been appointed to the American Health Council’s Nursing Board. With 43 years in the Veterans’ Health Administration, including 20 years in her current role, Ms. Minard shares with the American Health Council expertise in Nursing, Veterans’ Administration, and Clinical Education. Obtaining her MSN in 1979 from Yale University School of Nursing, Ms. Minard later went on to complete her JD from the University of Connecticut in 1995. She became involved in her present career after volunteering at a soup kitchen, where she enjoyed helping disenfranchised groups and chose to pursue a career with the VA. She cites working for them as following in her mother’s path, who has been in the Cadet Nurse Corps during World War II. Day to day responsibilities at VA Connecticut Healthcare System including patient care for veterans, monitoring staff interaction and growth of students, and multiple duties as the Clinical Educator for Gerontology Unit – working with all Nursing staff. She also serves on the Integrated Ethic Committee, Blood Usage Committee, Clinical Ethics Advisory Committee, and the Nursing Staff Development Committee. Ms. Minard is Nationally Certified in Gerontological Nursing by the ANCC (2013-2018), and Nationally Certified in Critical Care by the AACN (1980-2017). She is professionally associated with the American Association of Critical Care Nurses (ANCC), the Association of Nurses in Professional Development (ANPD), and the American Nurses Association (ANA). Attributing her past and present success to her love for the veterans, and passion for Acute and Critical Care, teaching, and volunteering, Ms. Minard’s professional goals in consideration for the next five years include continuing to make a difference in the deliverance of Veteran Care, as well as obtaining her APRN. 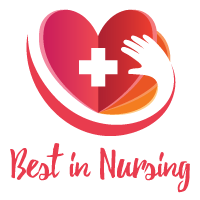 She has been garnered with the Shining Star Award from colleagues in 2006 and 2008 and was presented with a Nightingale Award for Excellence in Nursing in 2007. For all of these awards, she was nominated by professional colleagues. Ms. Minard has also been sworn in as a member of the Connecticut Bar on December 1st, 1995. In her spare time apart from her career, Ms. Minard enjoys spending time with friends and family, and regularly supports animal welfare organizations, as well as participating in a variety of volunteer opportunities for activities that serve disenfranchised Veterans. She is an associate member of the Marine Corps League of New Britain, CT and has participated in their programs as well. The Veterans Health Administration (VHA) serves as the largest integrated health care system in the United States, providing care at 1,245 health care facilities, including 170 VA Medical Centers and 1,065 outpatient sites of care of varying complexity to over 9 million Veterans each year. As part of the VHA, VA Connecticut Healthcare System is composed of an inpatient facility and Ambulatory Care Center in West Haven, an Ambulatory Care Center in Newington, and six primary care community based outpatient clinics. VA Connecticut maintains affiliation with Yale University School of Medicine and The University of Connecticut Schools of Medicine and Dentistry to train the next generation of healthcare professionals in nursing, X-ray, pharmacy, physical/occupational therapy, social work, laboratory, and nuclear medicine. The goal of the VHA is to honor America’s Veterans by providing exceptional health care that improves their health and well-being.